This weekend saw a quick trip to the Motor City in Detroit for one of the most unique events I have had the pleasure of visiting. 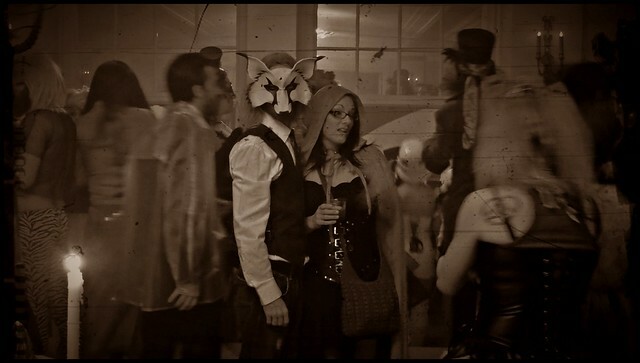 Put on by the Theatre Bizzare, the Summoning is a Halloween party held at the old Masonic Temple in Detroit. Such a unique location with amazing people watching, spectacular costumes (costumes were compulsory), and weird and wonderful performances going on all around. From fire-breathers, through circus acts, burlesque dancers, weird and wonderful sideshows to live bands and dance-floors. This one was my favorite from the event! A great way to spend a weekend away! That looks like it was an amazing night! Jealous! Where do you hear about these things?? My wife heard about the event through a piece on NPR. They were interviewing one of the guys who organizes it about the use of the old masonic temple. So she snagged some tickets!